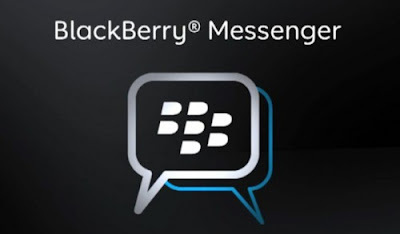 Blackberry Messenger app is the flagship feature and also featured production from smartphone RIM (Research In Motions) because only BlackBerry that has this feature. Although there is now a feature messeging http://littlebitjohnny.blogspot.com /2013/01/download-whatsapp-messenger-for-all.html" target="_blank">WhatsApp is almost similar to the fuel and can operate across the OS, but the fuel still has a special place for lovers of the BlackBerry. Well talking about the http://littlebitjohnny.blogspot.com /2013/01/bbm-voice-internet-phone-blackberry-via.html" target="_blank">BlackBerry Messenger (BBM), RIM as manufacturers often release updated versions of BBM to the latest version, the notification sometimes presented itself when we run the application the fuel, so that we can keep abreast of the latest version of BBM feature, then we should also always updating our BlackBerry version to the new version. But sometimes when we do the update version of BBM is often the case some issues one of which is the loss of BBM icon after we do the update. And that often happens also when we move / replace the mobile operators that we use sometimes some apps like BBM does not appear on our BlackBerry device screen. No need to panic and bring to a handyman service you can follow the How to Restore the BlackBerry Messenger (BBM) application following the missing fuel. -Re-download applications on BlackBerry BBM Appworld. -Once the process is finished restart your BlackBerry device. -Check fuel in the Instant Messenger folder. Good luck how to download and install applications on blackberry bbm missing if you experience it. Good luck. You have finished reading Restore Missing Blackberry Messenger BBM and many articles about Tech Gallery in our blog this, please read it. and url link of this article is https://littlebitjohnny.blogspot.com/2013/02/restore-missing-blackberry-messenger-bbm.html Hopefully discussion articles on provide more knowledge about the world of new tech gadgets.